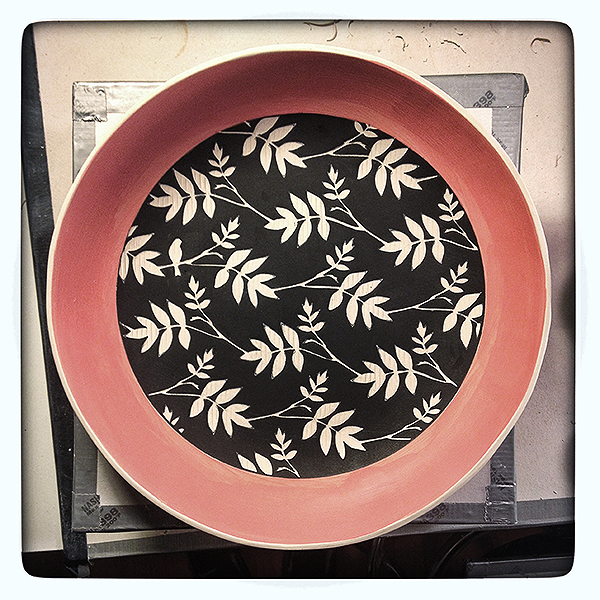 Working on a new pattern – next time, I’ll thicken up the branches just a bit more. Beautiful, show us when it comes out of the glaze kiln. Thanks, Walter – will do! Thanks so much, Cindy! BTW I love your work!